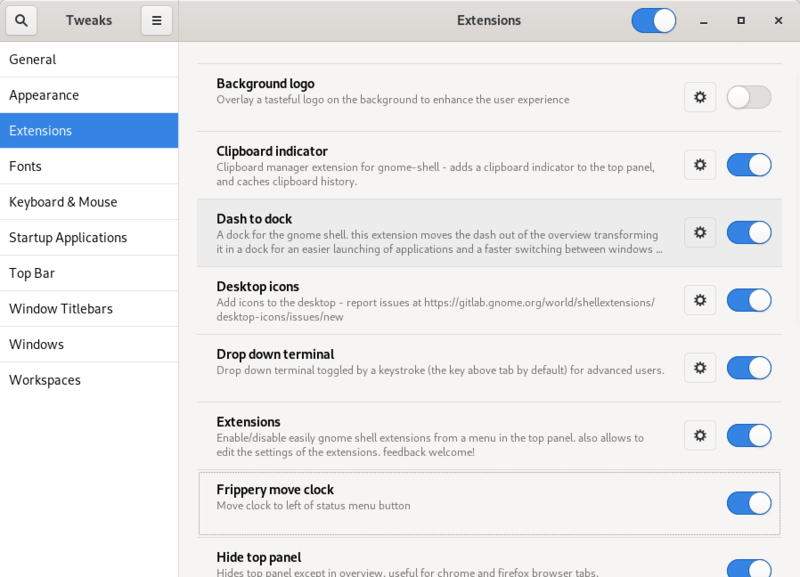 On GNOME 3.32, we cannot simply remove an Extension right from the Tweak Tool anymore. In that case, you will find some Extensions not working but you cannot uninstall them. In order to uninstall them, you can either visit E.G.O. website, or manually deleting the extensions folders. Instructions below showing both ways and you can follow either way you like. Happy tweaking! See you Tweak Tool on the Extensions section. If you find some to be ERROR, or you simply wish some to be removed, you cannot remove it. 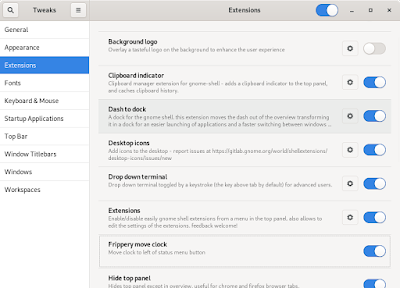 Some Extensions will eventually become ERROR when GNOME reached new version and you will need the developer to update the Extension to follow the new GNOME version. And you perhaps find GNOME Software (the app center) shows ERROR information when you click the Extension name from the Tweak Tool. You perhaps cannot remove the Extension from it as well. 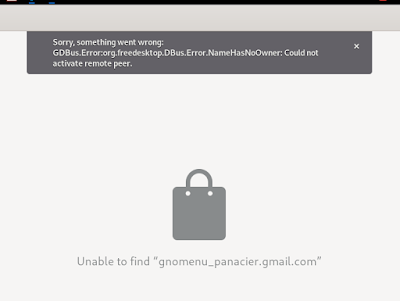 So, how to uninstall a GNOME Shell Extension? 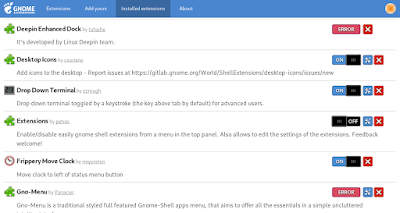 It's strange but it's the fact, you can uninstall Extensions installed on your computer using a webpage on the internet. 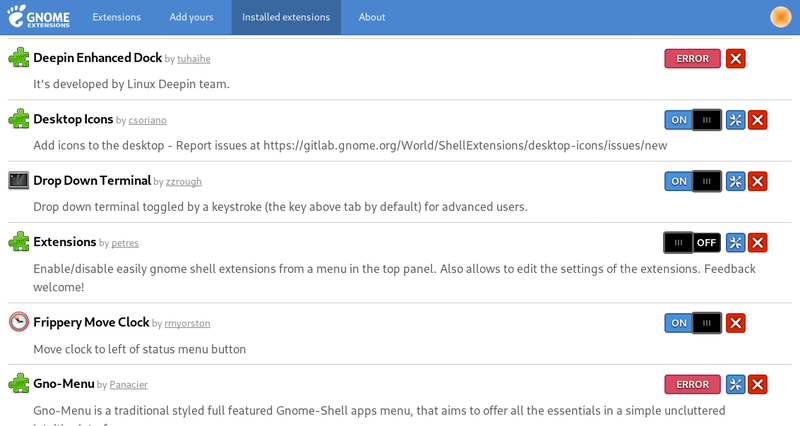 Go to https://extensions.gnome.org/local, or go to E.G.O. 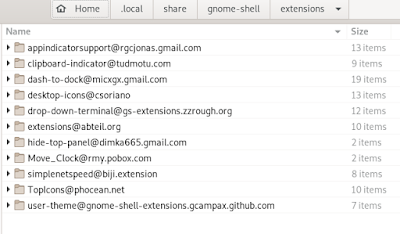 website and click 'Installed Extensions' link on top, you will see a list of all Extensions you have installed on your GNU/Linux system. Click the red X button to uninstall an Extension. With your File Manager, go to ~/.local/share/gnome-shell/extensions/ and carefully delete the folder of the Extension you meant to delete. For example, to remove AppIndicator Support, you delete the appindicatorsupport@rgcjonas.gmail.com folder below. If you do not see ~/.local folder, press Ctrl+H to show hidden files, press Ctrl+H again to hide them. See? It's not that hard at all. Either way after you uninstalled the Extension, restart the Tweak Tool so you can be sure it is gone already. Enjoy tweaking!